There was a time I went froyo crazy. 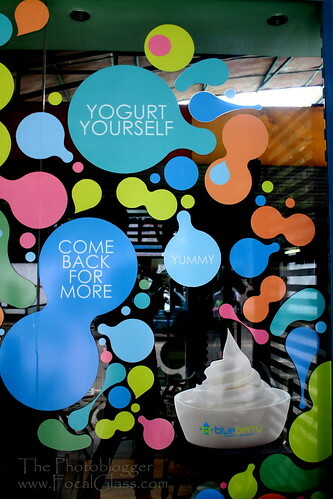 Froyo (frozen yogurt) stalls started popping all around Cebu like mushrooms! After having tried and tasted almost all froyos in Cebu I concluded that White Hat had to be my favorite in over-all because of their unique combination and Creamee d-Lite for price wise as it was the cheapest. 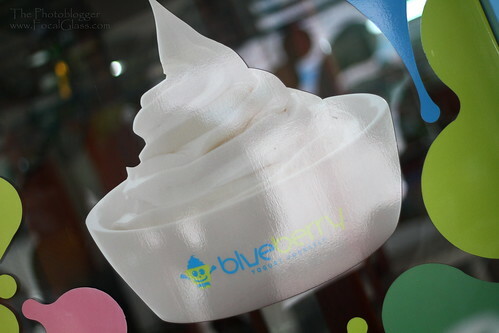 Those were my thoughts back then that was until Sir Bryan invited me to check out Blueberry Frozen Yogurt which is located in front of USPF in Lahug. At first I was hesitant considering that Froyos are indeed expensive and I was rather broke that time. But it so happened that one hot afternoon after a delightful lunch with my cousin Julz, I decided to drop by the froyo stall. I was cheerfully greeted by Ate Francine who was on duty that time. What was even more delightful was the menu board showing all the affordable prices. I have to say they priced it all just right! Now the price may be good but I didn’t know just how well the prices coincided with the quality. Before I write down the details of their froyo I have to say that their smallest size of plain froyo is NOT small which is obviously a good thing. 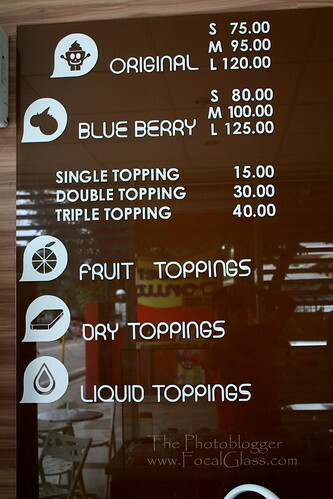 I also love how they were not hesitant when adding toppings. There was a generous amount of toppings on my froyo. The picture above does not justify just how much toppings I had (okay I nom nomed before I took a shot, hihihi) My first order was a small cup of plain froyo (again, it was a generous amount!) 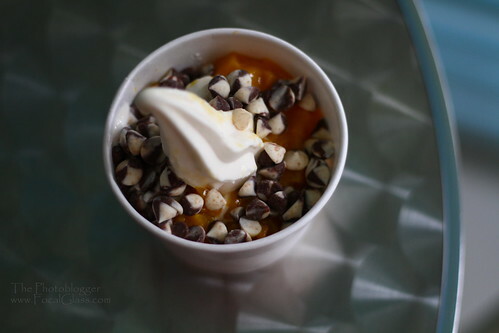 and then I had two toppings: chocolate chips and sweet mango. Now I’m very critical when it comes to SWEET mango. When I ask for sweet mango I demand sweet mango. I’m glad to say they offered, indeed, sweet mango. What about the plain froyo? It’s GOOD froyo. 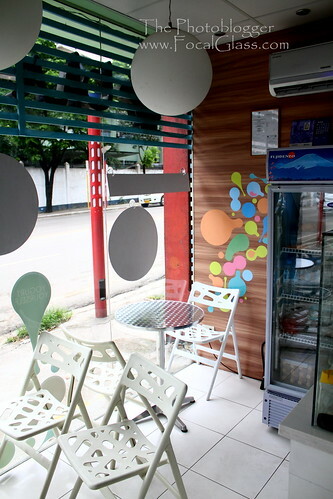 If you’re one who enjoys authentic sourness of the frozen yogurt then this is the place for you. The second serving was on the house. Apparently ate Francine was left with instructions to give me a free serving of froyo. Now normally I try to avoid free food (unless if it’s a food event, or restaurant launching) but she was all too nice and she did recommend trying their nutty toppings so I agreed for a second serving (yes I paid for the first cup, she didn’t know I was a guest during the first round). Ate Francine was right! I do recommend the nutty toppings, especially the Almond flakes!!! Yum! They also have syrup but I avoided it because I wanted my froyo sour. 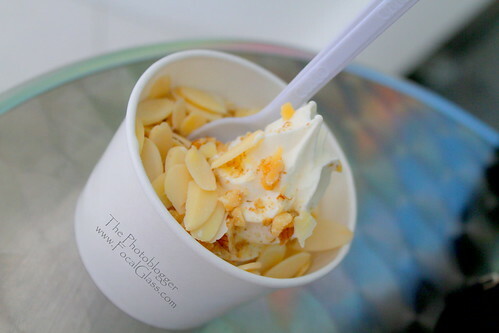 I also recommend it with Mango because the separate flavors of the sweet mango and sour froyo made a delightful blend. I regret not being able to try this because they only serve this at night (6pm down) and I’m required to go home before the sun sets. (yes cuz I’ll turn into an Ogre when the sun sets) But seriously, if you’re a Froyo fanatic this place is highly recommended as I believe this is the only FROYO stall in Cebu to serve Blueberry Yogurt. Yes, they give free froyo if it’s your birthday that day 😀 Do drop by during your birthday. I love it! Although I still love White hat for their unique combinations and cute names, I love Blueberry for their large servings, generous toppings, and affordable prices. I have yet to try the Blueberry, but till then my review isn’t complete. Here’s an initial score: 8/10 (based on my opinion and preference). 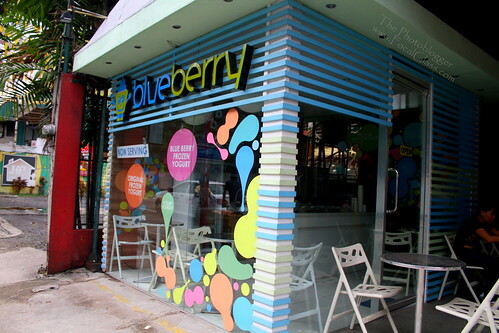 This entry was posted in Desserts and tagged Blueberry Cebu, Blueberry Froyo, Blueberry Froyo Cebu, Blueberry Frozen Yogurt, Blueberry Frozen yogurt Cebu, Blueberry Yogurt, Bluebrry Yogurt Cebu.